Developer: Hachette Book Group, Inc. 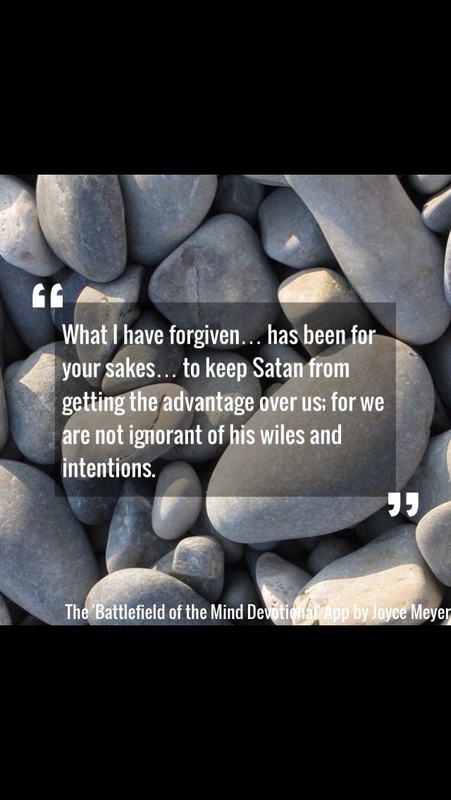 This bestselling author and speaker, Joyce Meyer, offers a companion devotional to her award-winning message, "Battlefield of the Mind." Worry, doubt, confusion, depression, anger and feelings of condemnation: all these are attacks on the mind. If readers suffer from negative thoughts, they can take heart! Joyce Meyer has helped millions win these all-important battles. 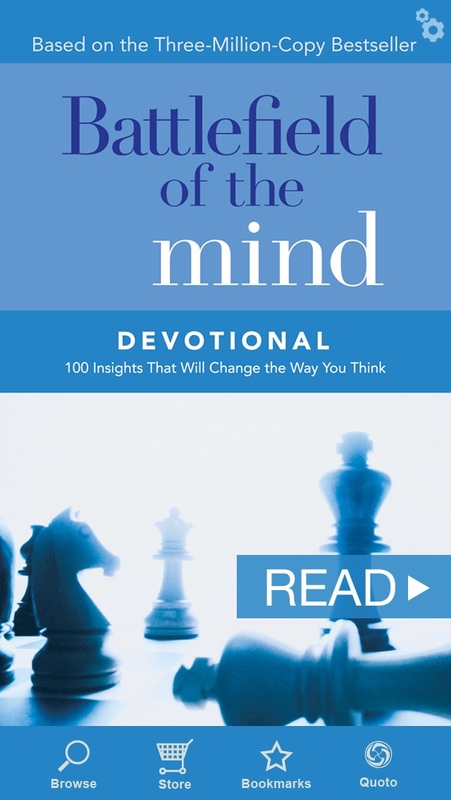 She shows readers how to change their lives by changing their minds. Joyce Meyer teaches how to deal with thousands of thoughts that people think every day and how to focus the mind the way God thinks. And she shares the trials, tragedies, and ultimate victories from her own marriage, family, and ministry that brought her to wondrous, life-transforming truth--and reveals her thoughts and feelings every step of the way. 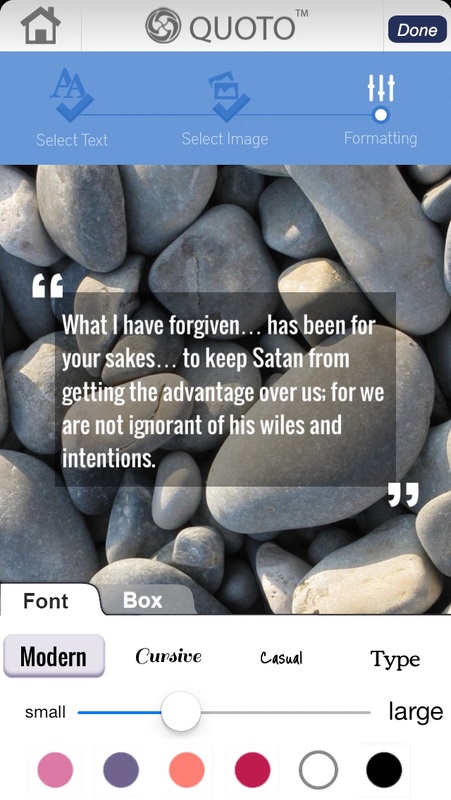 This app has 100 devotionals, a devotion search feature, weekly push notifications, and the ability to combine your favorite passages with images into beautiful shareable 'Quotos'! ABOUT THE AUTHOR Joyce Meyer is one of the world's leading practical Bible teachers. A #1 New York Times bestselling author, her books have helped millions of people find hope and restoration. She teaches on a number of topics with a particular focus on the mind, mouth, moods and attitudes. Her candid communication style allows her to share openly and practically about her experiences so others can apply what she has learned to their lives. ABOUT HACHETTE BOOK GROUP Hachette Book Group (HBG) is a leading trade publisher based in New York and a division of Hachette Livre, the second-largest publisher in the world. HBG publishes under the divisions of Little, Brown and Company, Little, Brown Books for Young Readers, Grand Central Publishing, FaithWords, Center Street, Orbit, and Hachette Digital. I really love this app! It works well with Voice Over which allows me to read it daily. Joyce provides very useful tips to help people with change their thinking from negativity to positivity. 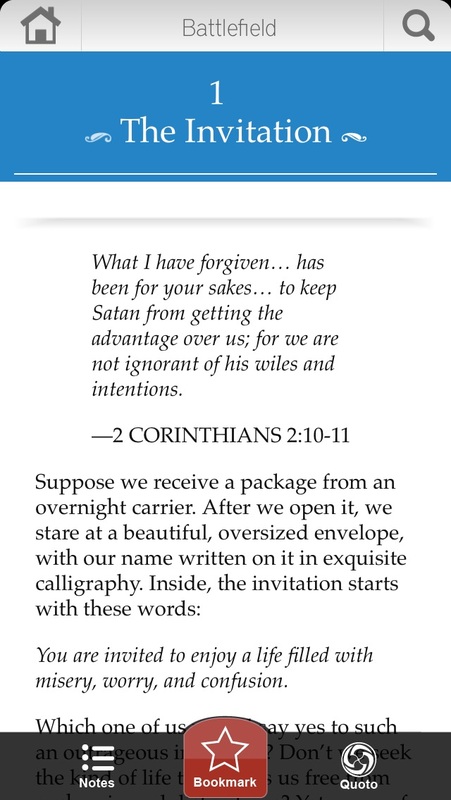 I enjoy having this devotional on my phone so handy to open and read! I have the author’s books but it makes it much easier to read as time permits having this app on my phone. I have just two wishes: 1) I wish the app remembered the devotional that was last viewed and then started from there when viewing is next done, and 2) I wish there was more content (more devotionals). On a couple of occasions, I read a couple of devotionals in a given day. 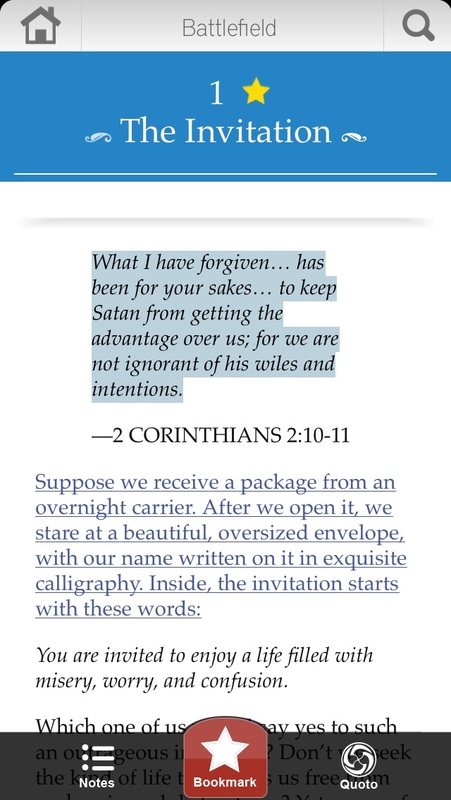 Since the app appears to be designed so that one devotional is read per day, you have to “page forward” to find where you last left off from reading. Why can’t the app start with the next devotional to be read? I love the devotionals, and they usually speak to me on a personal level - just the right words at the right time. The app is great because we don’t always have books and notes available but we generally always have our phones. The app is an awesome sword when you are battling things in your head or you just need inspiration. Whether you’ve read the Battlefield book or not; whether you follow Joyce Meyer or not, this is for YOU. Little by powerful little, It will keep you from faking into depression and despair. It will simply power your life. I love this app! Simple daily devotions to begin my day with new thoughts. I find myself reaching for this throughout my day when I struggle with Satan intruding my mind. What a great tool as I strengthen my faith and relationship with God! This is a great devotional! More by Hachette Book Group, Inc.